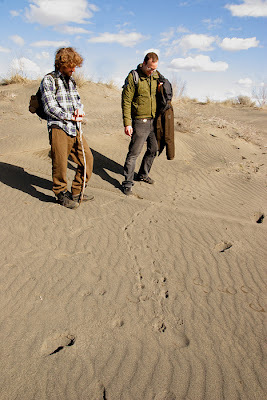 This month the tracking apprenticeship took an exciting day out to track and trail in the Potholes Dunes near Moses Lake. This trip was focused on preparing for the tracking evaluations coming up later this spring. This area is a wonderfully diverse landscape where there is a mosaic of both desert and wetlands habitats blending. Some of the animals found here are not found on the west, rain side of the mountains. Others are found on both sides of the mountains. The tracks in this photo lead between one patch of wetlands to another. If you look closely, you can even see the webbing between some of the toes. 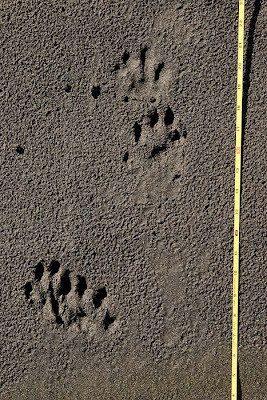 These are the tracks of a large, aquatic member of the weasel family. Here, Matt and Kyle grin at this hilarious find. A coyote apparently dragged its backside down the hill through the sand, then continued on its merry way off to the left! Guess it had an itch. You never know what you might find when you are out tracking. 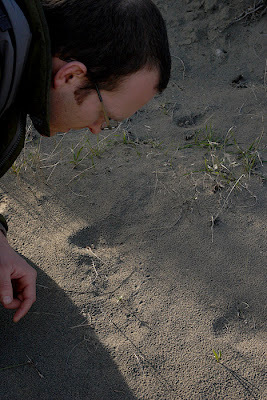 Here Kyle closely inspects a trail we discovered at end of our day. We had talked about the mysterious grasshopper mouse earlier in the day, and then came upon this... This trail did not seem to match anything we had seen that day. It was a pretty odd gait for such a small mammal, a lot of walking and trotting. This animal went from cover to cover, then started wandering around in the semi-open as if foraging. Perhaps it was hunting? Had we seen the elusive grasshopper mouse? We left with that trail as a mysery, having been satiated on plentiful tracks and sunshine. We are all looking forward to another outing with Alderleaf Tracking Apprenticeship! Using a rock boiling technique to purify water at our Weekend Wilderness Survival Course. This is a way to effectively purify water in a survival situation if you did not have a filter system or chemical treatment. The containers are coal-burned bowls made from logs. It is a completely primitive technique that requires no specialized equipment. 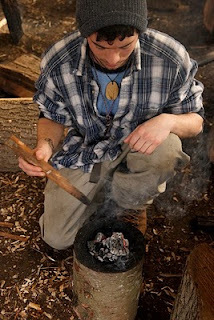 The little scrubby made from an evergreen tree branch is used to wipe off ash off of the hot stones. The first bowl of water (not for drinking) is for dunking to get off the remaining ash. Too much ash in water is not good to drink. The second bowl of water is being boiled. Once the water reaches boiling temperature it is safe to drink. When the water begins to cool we add pine needles to add good flavor and vitamin C.
Another jam-packed month at Alderleaf has come and gone. Signs of spring are appearing all over campus. 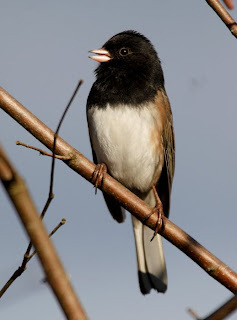 The voices of birds grows louder everyday. Frogs singing in the evenings and buds are popping all over the place. Even the first bumble bees of spring have made an appearance! 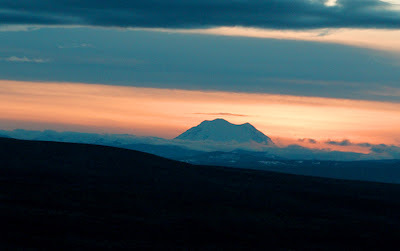 The month of February has been an exciting one for the Alderleaf Wilderness Certification Program. We have continued forward on our learning journey and covered a lot of new ground. Students did everything from making cattail mats and soothing cottonwood salves with Karen Sherwood, to practicing making primitive survival traps with Jason Knight. 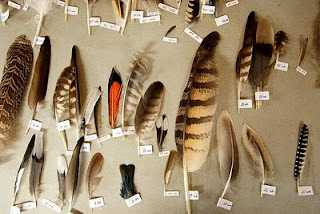 One day we had guest instructor Dave Scott come in and teach about the amazing world of bird wings and feathers, their functions, and how to identify them using a several teared method. On another great day students learned about and experienced the practices of habitat restoration and forest stewardship. Native plants were added to the native restoration area at the entrance to the farm. 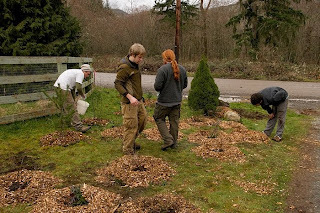 Also, students got to plant between 150 and 200 small Douglas firs and western red cedars as part of the stewardship process in the wooded areas of the property. Thus, encouraging our forests to move towards the complex and diverse structure that mirror the old-growth. While learning more about primitive living and survival skills, students spent another day learning a variety of methods for water purification. The oldest and one of the simplest forms is through boiling the water to destroy any potential parasites. But first, you have to make a container! There in lies the need to create bowls via burning with coals from the fire. Here Certification Program student Greg Evans demonstrates the technique. 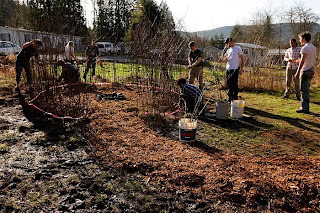 During a 3 day permaculture session with instructor Adam Rawson, students had an opportunity to look at the idea of building from a new perspective: biotecture! Biotectures are living structures that come in many forms. The class worked on creating a living structure out of young alders, which will provide a gathering space for guests and future classes. As the alders grow, they will be encouraged to grow together and form a living roof which might someday even be tight enough to keep out the winter rain! The shortest month of the year is over, but March has arrived and the adventure and learning continues! Come visit our blog soon for more updates.